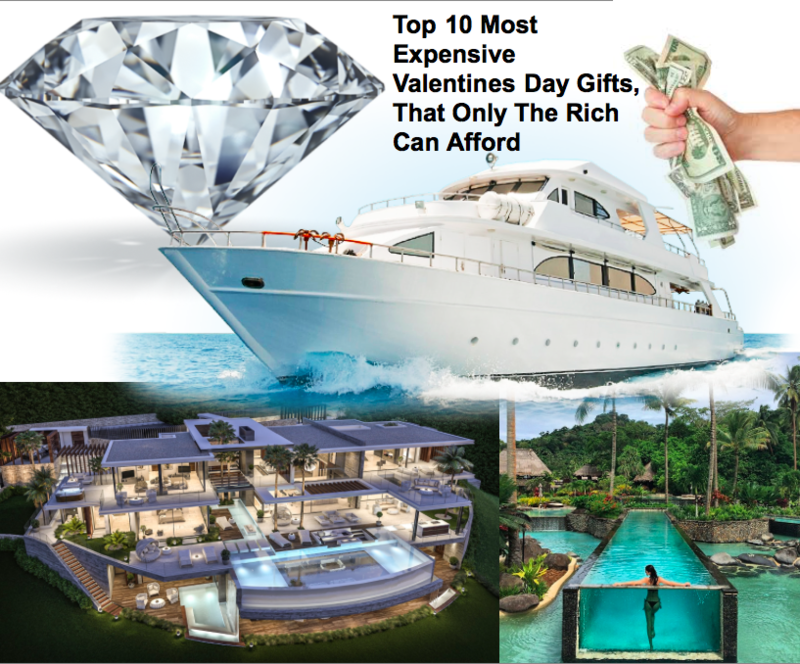 Here are the Top 10 Most Expensive Valentines Day Gifts, That Only The Rich Can Afford. This can be a pricy gift, but a great one! Who doesn’t love some Diamond? Anyone loves some good cash. Go ahead and give your special someone $10,000-$100,000,000 They would love this gift, because they could finally do something they dreamed of doing, like starting a business. Do you really want to make your special someone happy? Then buy them a house! This will truly show your love for them! Make sure it’s there dream home though. Why not get your special someone a Paid Off Private Yacht? So that if an apocalypse ever happens, they can glide on the water to safety. Just make sure you stay close to that person, because if you make them mad, they will leave you behind when the apocalypse comes. This one is much smaller, but it has almost anything you will need, and it is much faster than the larger boat so if a huge wave is heading towards you, you would be more likely to get away. Pay of someones loan, for school or there house, etc. Pay of your special someones degree, this will bring them so much joy! If you payed for something to go away that was causing them stress, will give them great joy! Now this one is a fun idea! Just make sure to get an island that is high above sea level, because we don’t want that island to go underwater. Then give this to your special someone as a gift, they won’t be disappointed! Pay to kick start you special someones dream Dream Business. Or buy there dream business. For example, your special someones loves cats, well then buy them a cat cafe. Does your special someone have a story they love to tell, or a book they dream to write? They just don’t have the time too? Well why not hire your special someone a ghost-writer? Then your special someone can tell the ghost-writer the story or book they want to write and then the ghost writer can write the book. Just make sure you find the best ghost writer in the business. Why not get your special someone a gift they really want, but they can’t afford? That way they get there dream no matter how much it costs. That is Top 10 Most Expensive Valentines Day Gifts, That Only The Rich Can Afford. Which one was your favorite? Which one would you like to receive one day?